Richard Kates grew up in San Diego wanting to know more about the uncle he was named after but never met. He knew the uncle was killed during World War II, flying in a B-24 on a bombing run. He knew the uncle had only one or two missions left before he could go home. But that was about it. And this time of year, around Veteran’s Day, it was never enough. Kates hired William Beigel, a private detective of sorts who specializes in military mysteries. He lives in Torrance and for the past 10 years has been tracking down information about war veterans. Beigel combed various archives and found a report describing how the B-24 was hit by anti-aircraft fire on Oct. 3, 1944, during a raid on a Japanese refinery in Borneo. Only the tail-gunner parachuted out before the flaming plane went down in the jungle. Beigel found a hand-drawn map with a black diamond marking where the bomber crashed. And he found a copy of a letter sent six years later to Mr. and Mrs. Harry Kates in National City, explaining that their son’s body would never be recovered – never brought home for a funeral. The letter promised that a memorial flag would be following soon in the mail. “This flag is the symbol of our country, in whose fibre is entwined the love and devotion of thousands of men such as your son,” the letter said. 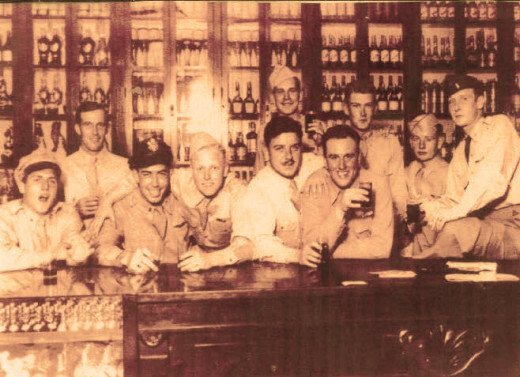 After a woman at an Air Force base found this photo in a trash can, she hired Bill Beigel to find out more about the four aviators. 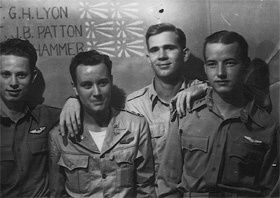 He learned that Joseph B. Patton (far right) was killed on a training mission near Woka, India, in July 1944. Closure – Beigel hears that word a lot. About 16 million Americans served during World War II, and some 400,000 were killed. For those who survived, the march of time, stretching now across six decades, is having its way. Veterans are dying at a rate of about 1,000 a day. Many take their stories with them to the grave. The Greatest Generation is a famously tight-lipped one. Many refused to talk about what they did and saw. That leaves a vacuum that some relatives are increasingly eager to fill. Some go to military reunions and talk to veterans who served with their fathers (or brothers or uncles). Some join support groups such as the American World War II Orphans Network. And some turn to sleuths like Beigel. Beigel, 49, writes and negotiates contracts for a company that specializes in airport security and railroad management. He grew up listening to his father talk about a cousin who had disappeared in 1943 on a B-17. “It was a mystery in the family forever,” he said. Already a World War II buff, he decided about 10 years ago to figure out what happened to the cousin. He started digging through government records, mastering the maze of bureaucracy and its arcane rules and acronyms. What had been a hobby became a side business, run from a cubbyhole in his kitchen. Shortly after this photo was taken in Italy, the rest of Paul Edlund’s B-24 crew was shot down and killed on a bombing mission. The cousin, he learned, died in a crash while his unit was being deployed to England from the East Coast. Two other planes went down at the same time. Turns out they never should have left the ground because of the weather, Beigel said. He shared his findings with his dad, and got his first taste of what it means to people to fill a gap in the family history. He has now handled about 1,000 cases, working with people from all across the country, including several with San Diego ties. Most of his clients are relatives of the veterans. But sometimes there are other connections. Right now he’s working for a man who, as a boy, saw a B-17 crash into a mountain in Wales in September 1943. The man wants information about all 10 of the crew members who perished in the crash, so he can build a monument there. Paul Edlund hired him to do research for an autobiography about war and fate. Edlund, a co-pilot on a B-24, was injured in a bombing mission in 1944. The next day, while he was recovering in the hospital, the rest of the crew got sent out again. They died when the plane was shot down. 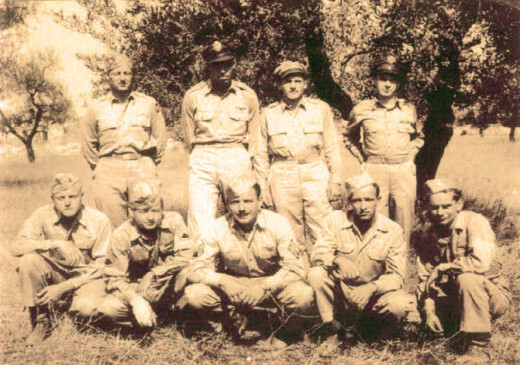 All 10 crew members from Ascend Charlie, a B-17 bomber, died when the plane crashed into a mountain in Wales while returning in bad weather from a raid on a Nazi submarine base in France. Beigel’s client is a man who saw the crash in September 1943 and wants to build a memorial. Another client was visiting an Air Force base in Texas when she came across, in a trash can, a photo of four aviators. She hired Beigel to learn more about them. And the Rotary Club in Brownsville, Texas, has asked him to prepare a proposal for researching all 98 of that city’s World War II dead. Some cases can be researched in a couple of weeks; some take more than a year. The average is four to six months. He typically charges between $150 and $250 a case. (More information is available at his Web site, ww2usakilledmissingpow.com (updated: ww2research.com). Some mysteries are more wrenching than others. One client was a woman whose father had died without ever sharing anything about his service. It turned out he’d been in a B-24 over Hungary when enemy fire punched a hole in the plane. He grabbed the leg of a bombardier, trying to keep him from being sucked out. He was left holding just the guy’s boot.